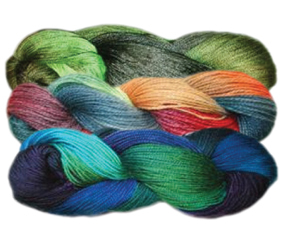 Come by and feel these incredible hand-painted yarns…as soon as you touch them, you’ll want to start a project. What could be better than a baby-soft scarf with waves of subtle, rich color? Yarns, accessories and ideas this Saturday at Ewe & Company’s “soft” opening at 407 North Main Street in historic downtown Kingston Springs. Stop by from 10:00 a.m. to 4:00 p.m. This entry was posted in yarn and tagged hand-painted yarn, Kingston Springs, knit shop, knitting, spinning, yarn. Bookmark the permalink.